This Virgin Mary Mother Child charm is one of my favorites. 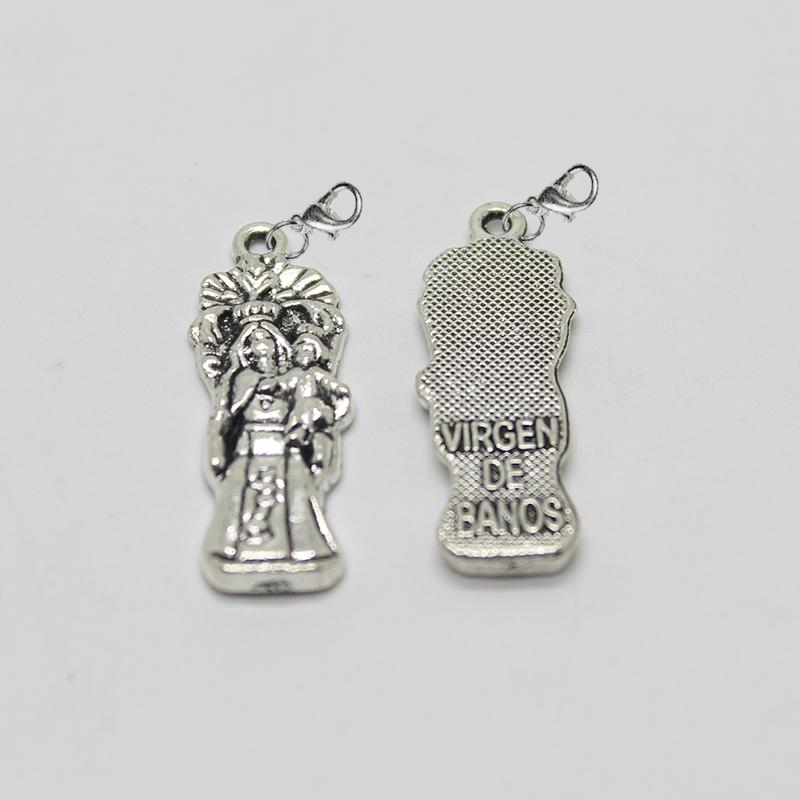 The antique silver plated Virgin Mary Mother Child dangle charm is 1.05" tall and includes a lobster type clasp to attach the charm. 1 piece.